Statoil now has awarded a contract to Younicos to deliver a 1MW battery system that will be connected to Hywind Scotland. The two 10-foot modular battery containers will be placed at the Hywind Scotland onshore substation in Peterhead, Scotland. The storage solution project, named Batwind, will be operational from Q2 2018. This is the first battery storage system connected to a floating wind farm. Batwind is a partnership between Statoil and Masdar. Whereas a standard battery will charge and re-charge, the purpose of the Batwind storage solution project is to understand how a battery can help increase the value of the produced electricity and how a battery best can work together with the wind farm and the grid. "As part of Statoil's strategy of gradually supplementing our oil and gas portfolio with profitable renewable energy, getting to understand energy storage is important. With more renewables coming into production it will be crucial to handle storage to ensure predictable energy supply in periods without wind or sun. Batwind has the potential to add value by mitigating periods without wind – and by that making wind a more reliable energy producer year around. 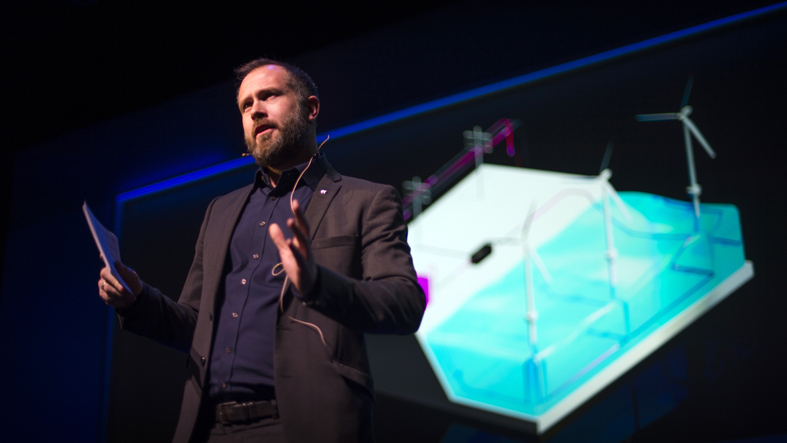 This could expand the use and market for wind and renewables in the future," says head of Hywind Development in Statoil, Sebastian Bringsværd. "Through Batwind we are including software – or a brain if you like - on top of the battery to ensure that the battery behaves the way we want it to behave. We want the battery to automatically know when to hold back and store electricity, and when to send it out to the grid. Battery energy storage systems have existed in the market for several years and are rapidly developing. However, there is limited knowledge of how to make a battery act based on dynamic information, in order to maximize value of renewable energy," says Bringsværd. Based on the learnings and testing of the 1MW/1,3 MWh battery storage system, Statoil and Masdar will assess next steps in further developing the solution. Hywind Scotland is operated by Statoil on behalf of partner Masdar, where Statoil holds an ownership share of 75% and Masdar 25%.